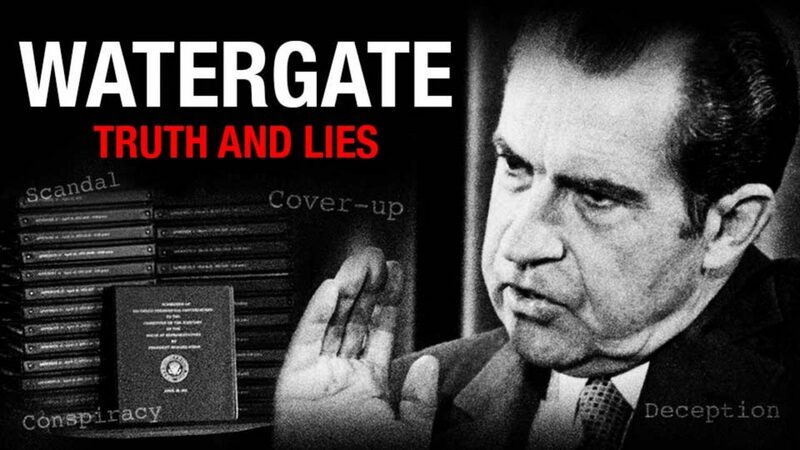 The story of Watergate- Truth & Lies. The Watergate scandal was a major political scandal that occurred in the United States during the early 1970s, following a break-in by five men at the Democratic National Committee (DNC) headquarters at the Watergate office complex in Washington, D.C. on June 17, 1972, and President Richard Nixon's administration's subsequent attempt to cover up his involvement. After the five burglars were caught and the conspiracy was discovered—chiefly through the work of a few journalists, Congressional staffers and an election-finance watchdog official—Watergate was investigated by the United States Congress. Meanwhile, Nixon's administration resisted its probes, which led to a constitutional crisis, and the eventual resignation of President Richard Nixon.